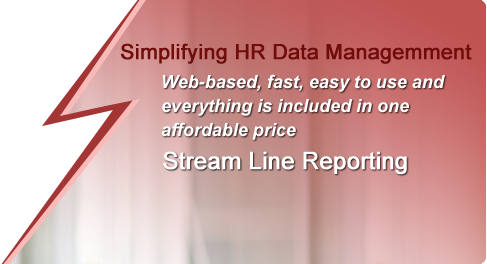 Affordable online HR software that is easy to use. 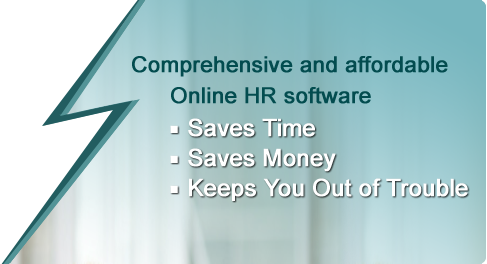 Web-based human resources software & employee management software cloud. Human Resource is an enhanced personal / HR system with full basic employee profile and Employee Information(education, experience, expertise, training, dependents, additional contacts, user id / password, report to, other). Human Resource is convenient and customizable solution for achieving needs. Human Resource also consist of company Documents, Employee letters and Notification and generate Reports of current and left Employees. Time Attendance software (HR Suite) is a comprehensive, easy to use employee's Attendance Management that enables employers to record their arrival and departure, providing managers with detailed information about attendance records, absents records, leave record, overtime etc. The system uses company-defined rules & policies to calculate the time of each individual employee which can then be passed to the payroll system for processing payments. This reduces the administrative effort. HRSuite’s Leave Management module allows users to apply for leave, receive approvals on line or Email. Its also ensures uniform implementation of the leave policy throughout the organization reducing HR monitoring or intervention. 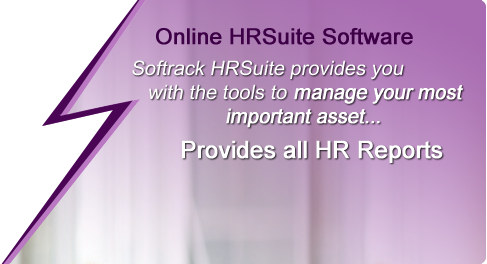 HRSuite Leave management auto mates your working environment. It is an easy to use system that simplifies the process flow so planning, applying and approving of leave. Payroll Software is a web based payroll solution with full payroll functions of a business. This allows companies to prepare their payroll management solution across multiple remote locations. This payroll software improves your payroll process, saving your time and money. Payroll data can be entered at remote locations making your payroll processing more efficient and accurate. The system uses company-defined rules & policies to calculate employee salary, allowances, deductions, manage loans, advanced salary, bonus, income tax which can then be passed to the payroll system for processing payments. This reduces the administrative effort.